Chris Maeda is an Entrepreneur / Angel Investor / Computer Scientist. He is the founder of Brick Street Software. I’ve been an angel investor in Toronto since 2011. Towards the end of the dot.com days, I traded my SOMA loft for a New Hampshire cottage, partly as a by-product of some public company M&A transactions. I began investing with a New Hampshire angel group in the mid-aughts. I like living in NH, but the deal flow you see there is quirky. There weren’t very many software deals, and New Hampshire has a lot of trees and cows, so the angel group ended up looking at non-software deals, like online wood pellet distributors and dog yogurt manufacturers. 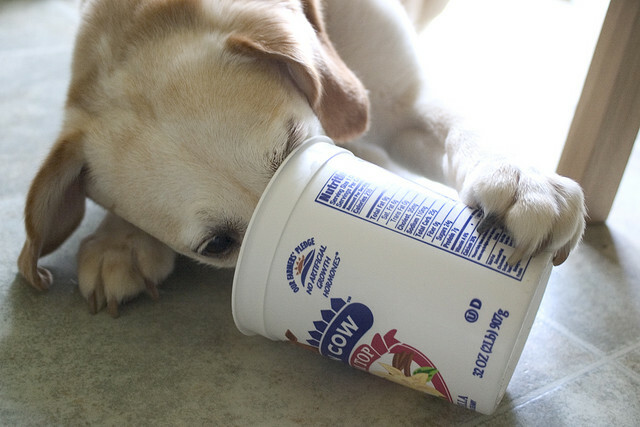 When I was hearing the dog yogurt pitch, I had a what-the-hell-am-I-doing-here moment of clarity and quit the angel group. Then two things happened. First, my company, Brick Street Software, decided to set up a customer support center in Toronto so I started coming to Toronto for business on a regular basis. Second, Influitive was advertising a round on AngelList. I met the Influitive founders (Mark Organ and David Crow) and, after verifying that they were not planning to enter the dairy products business [Ed. Note: I have a dairy allergy so I’m kind of anti-dairy], I invested in their pre-venture rounds and joined their board. I recently invested in a second Toronto company and am working on a third. I’m starting to see patterns for why Toronto is great place to invest. As I tell my American friends, Toronto is the New York and Los Angeles of Canada. So almost everything that happens, happens in Toronto. I’m sure I just ticked off a bunch of people outside of the GTA, but this is reality when viewed from the US. The software talent pool is pretty good; there are lots of startups but everyone complains about a shortage of capital. So this forces Canadian entrepreneurs to have a bootstrap mentality and means that valuations are not outrageous. The seed funding bubble has come to Canada but its not as gassy as the US. the US does not have SR&ED credits, IRAP grants, refundable HST, or the network of publicly-funded innovation centers that you find in Ontario. A Toronto company that I’ve invested in has probably raised as much money in grants as it has from investors. This means the Canadian government is reducing my dilution and (hopefully) goosing my investment returns. Thanks, guys. Many of the large corporate buyers are headquartered in Toronto. I rode along on a sales call to a large Canadian company. I usually have to get on an airplane for something like this; in Toronto I can take a cab. I can even take transit if I’m not in a hurry. There are a number of little things that make Canada a good place for an international business hub. For a variety of reasons, Canadian employees are less expensive than Americans, and the NAFTA treaty makes it easy for Canadian companies to expand into the US with minimal US headcount. You can have bank accounts in foreign currencies (e.g. US Dollars and Euros). Finally, and perhaps most importantly, the Canadian market is so small that startups have to plan for international expansion from day 1. 1 and 3 are generally right. 2) depends. Yes if you come here as part of the startup visa program, greencard in hand and ready to accept govt funding then you’re supported on the track to success. However if you come here WITHOUT govt funding, not being Canadian and with your own raised capital, the weak private sector and the lack of TRUE VC’s (ones that survive on returns and are not just redistributing govt funding) this heavily works against you because it’s created a system where everyone from techies to landlords think that before you start a business you must get govt funding. Canadian VC’s must actually become VC’s, invest in the best deals possible, not only the founders who are willing to settle for Canada. Founders who are willing to settle for second best could already have a DNA flaw, or it could be a strength – adaptability. 4) This is most definitely not a strength and a real stretch. A large domestic market is the key driver of success and the REAL secret sauce to the US. Early on those domestic customers are your lifeblood, local word of mouth and also local SIZE OF DEALS. You’re saying that Canadians are somehow unique for thinking internationally from day 1, they are not. We are ALL thinking that. Ask anyone from Australia, UK, Ireland etc how much harder it is to scale from a small market which results in everything from small customers to small funding. It is always easier to sell locally then over the internet/skype with people you cannot easily break bread with. Domestic is key and severely underestimated for anyone considering jumping ship. Also if Canadian startups are so internationally minded how come so many of them have to keep a foot in consulting and contract work to keep them going? While you guys are trumpeting startup visa (which in an overall sense IS good for Canada) I am closing funding to get the hell out of here in a net positive fashion as fast as I can.